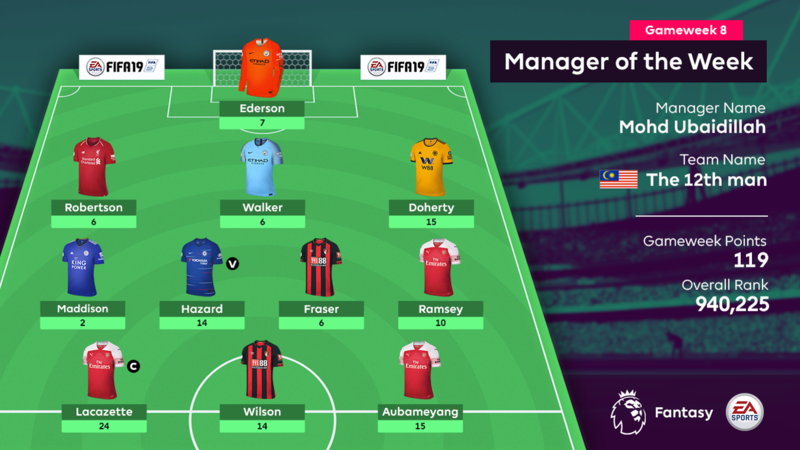 Arsenal fan Mohd Ubaidillah was rewarded for his club loyalty after a trio of Gunners fired his side to a world-beating Fantasy Premier League score in Gameweek 8. The Malaysian manager's team, The 12th man, recorded 119 points. Major contributions came from strikers Alexandre Lacazette (£9.6m) and Pierre-Emerick Aubameyang (£10.7m). 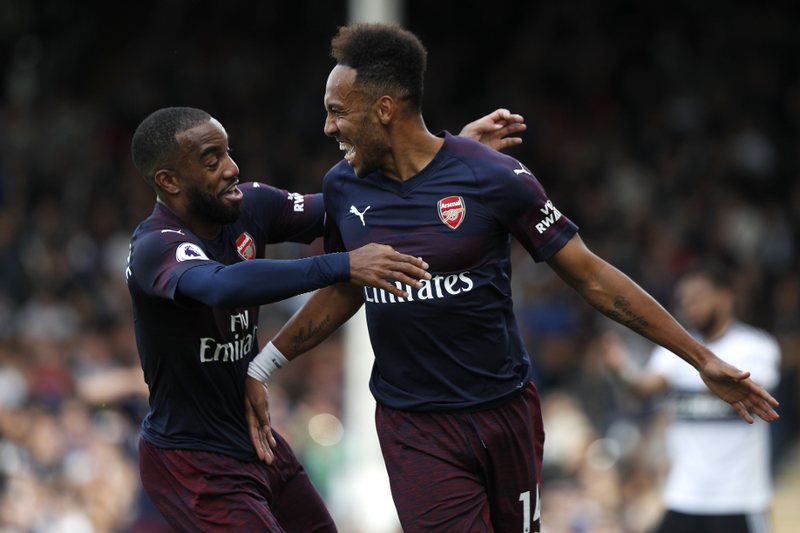 Both scored twice in Arsenal's 5-1 win at Fulham, with an assist and maximum bonus helping Aubameyang to 15 points. Mohd captained Lacazette, who was awarded two bonus points and finished with his second 12-point haul of the season. The pair's team-mate, Aaron Ramsey (£7.4m), also made it into double figures. The midfielder scored, provided an assist and earned a bonus point in an impressive 23-minute appearance from the bench. Callum Wilson's (£6.3m) goal and two assists in AFC Bournemouth's 4-0 win over Watford ensured Mohd's three-man frontline all brought in double-digit scores. And there were equally fine performances from in-form Chelsea midfielder Eden Hazard (£11.3m) and Wolverhampton Wanderers wing-back Matt Doherty (£4.7m). Doherty scored the only goal in the 1-0 victory at Crystal Palace, which helped him to his third score of 12 or more points in the last four Gameweeks. As the manager with the highest score among those not using any of their chips, Mohd wins a copy of FIFA 19, a Nike Merlin match ball and an FPL rucksack and mug.